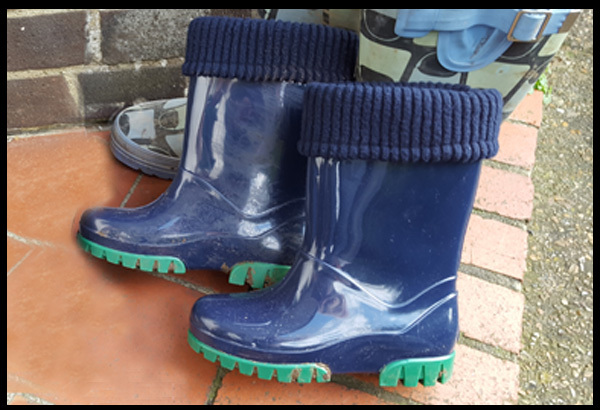 My son was very fortunate to try out Term's wellington boots, and I have to say, I was rather jealous, they are marvellous! 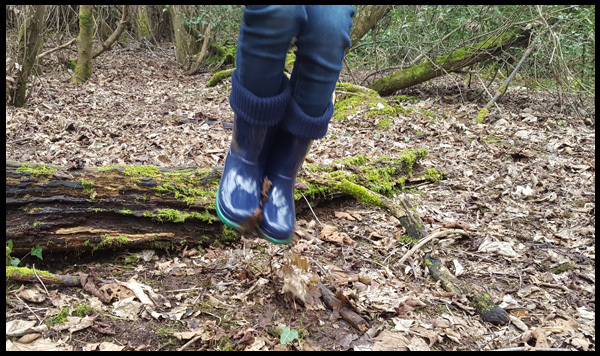 Term Footwear - The alternative to high street shopping for school shoes! 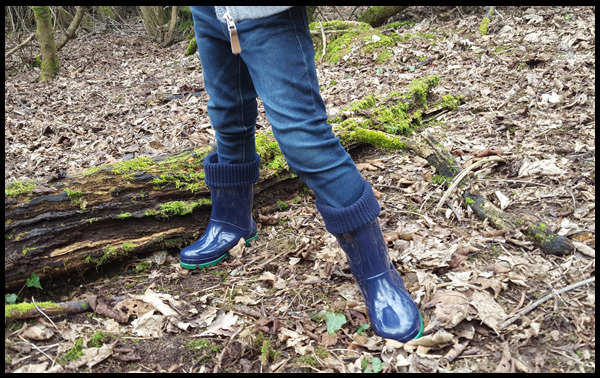 Before I go into detail as to why I think my son's new wellies are fabulous, here's a bit of background on who Term Footwear are. Term are a small UK company that have been selling children's shoes for 7 years and have now launched their own brand; Partnered with some great suppliers and designers their footwear is great for children's feet but also a super design and style that children will want to wear. 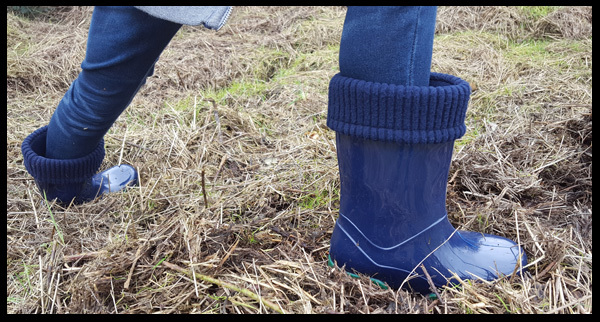 These boots are perfect for young feet, providing protection and support from cold and wet conditions. With removable, hand washable socks with a warm, ribbed roll at the top, to keep the sock secure in the boot. A nice touch to these boots are the reflective strips at the back of the boot to enhance visibility in the dark etc. 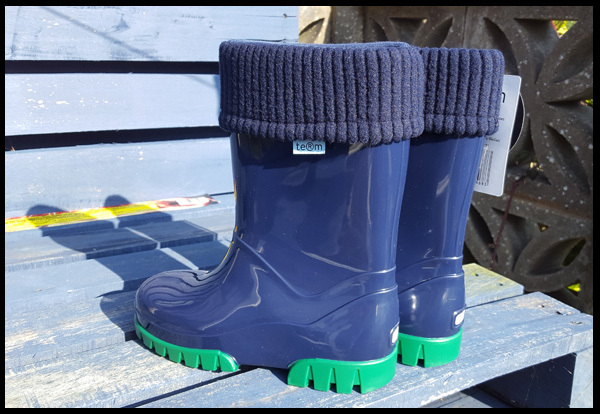 We chose the nice bold navy boots with green souls and blue washable socks. Term know their audience as these were an instant hit in our house and my son had them on for at least 2 hours before we even left the house for our walk! He loves them, which I have to admit did surprise me at first, as there is no pattern to them, no Avenger or superhero on the side. But the fact they are bright bold colours, different coloured soles and removable socks more than makes up for this. That, and the fact that his feet were warm and comfortable. 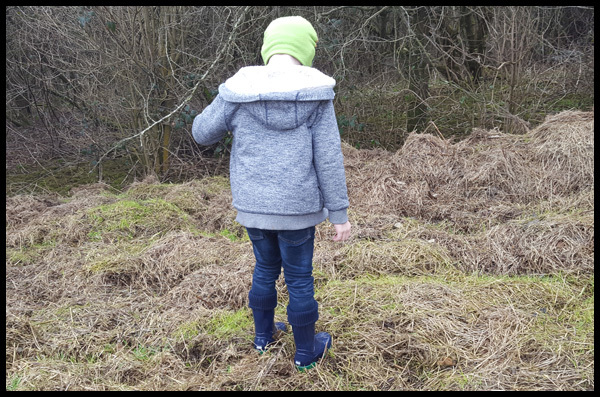 We tested out Max's new boots by taking the dog for a long walk up the Sussex downs, and whilst it wasn't raining there were enough semi-dry squelchy mud puddles and grass piles for both of them to find! These boots are flexible and durable and a comfortable fit for my son. They currently retail for £21.99 which you can purchase from New Brand website, and because I am so happy with the quality, comfort and feel of these boots I will definitely be looking at their school shoes, I particularly like the look of the Lotus Low Velcro. What I find ideal with Term is the fact I can shop for my son's school shoes without having to wait for an hour in one of the only shops in town which sell school shoes. Where you have to either pre book an appointment or you take a number and wait. This doesn't work for me when I've just popped into town and remembered on the fly that we need shoes! I look forward to seeing this small UK business grow. How do you shop for your child's shoes? I received wellies from Term to review.